Living with five kids is an all-or-nothing affair. 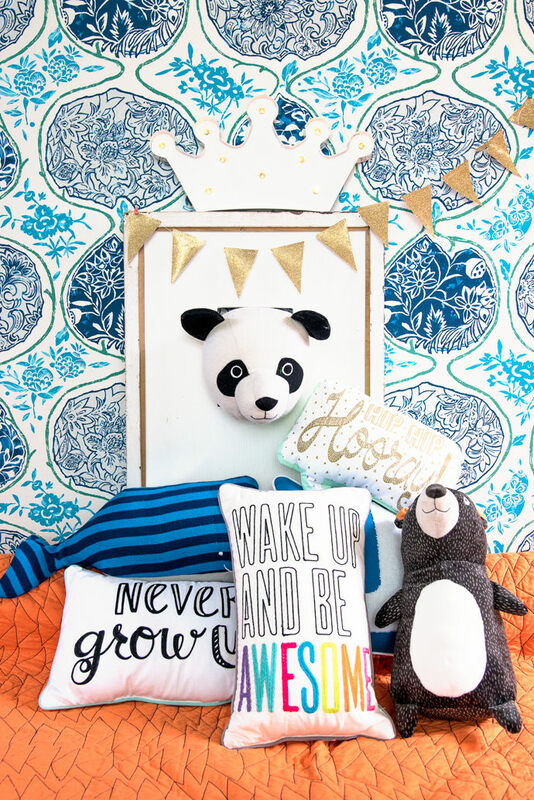 Anything intended for the kids room will inevitably make its way into the rest of your home. My solution? Embrace it! I have perfected the art of scouring vintage markets, Etsy shops, and the deepest corners of the Internet for cool kid’s room decor over the years. But my latest obsession isn’t from some obscure shop in Finland, though it is every bit as cool: the Pillowfort line at Target. Forget the obvious gender-specific themes like princesses and robots. 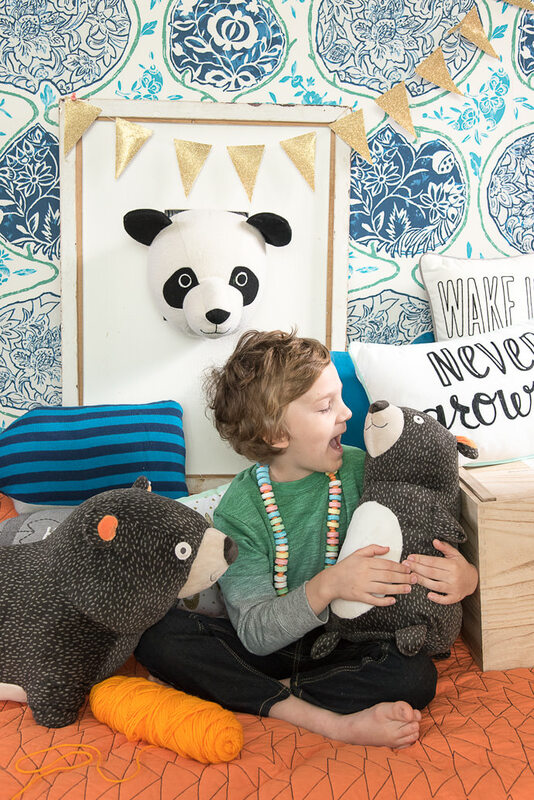 Pillowfort brings great design to the kid’s room and makes it accessible to everyone. There are over 1,200 pieces of furniture and room decor in the collection, including everything from teepees to wall-mounted felt animal heads. The whimsical patterns and colorful accessories were purposely designed to be gender neutral, so boys and girls alike can mix and match to create their own style. We love to create little pop-up nooks and hideouts around the house, so we decided to use colorful textiles from the Pillowfort collection to create a special reading spot for our kids. Needless to say, it was an instant hit with our youngest child Noah and earned his hearty stamp of approval. How could he resist? The lovable animals and cheery throw pillows are guaranteed to inspire happy thoughts in the minds of young and old alike. 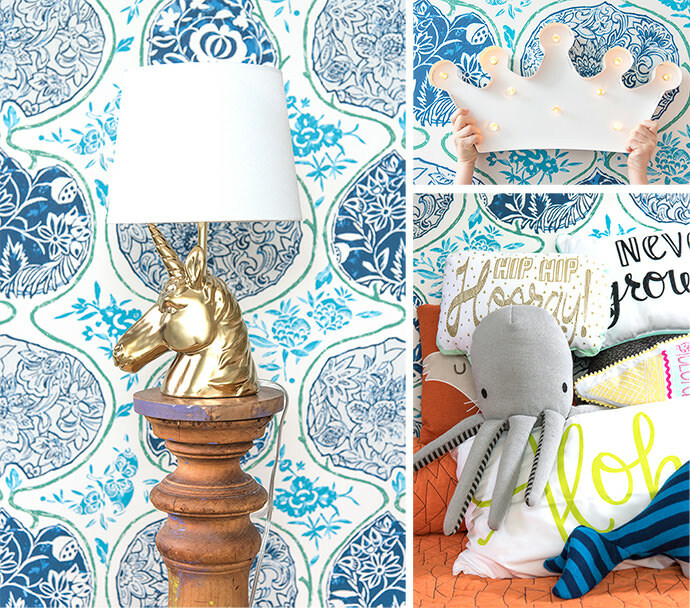 Who wouldn’t love reading by the light of a Unicorn Table Lamp? The Crown Marquee Light is perfect for adding sparkle to any space, hanging anywhere easily thanks to its battery-operated LEDs (no electrical outlet required). 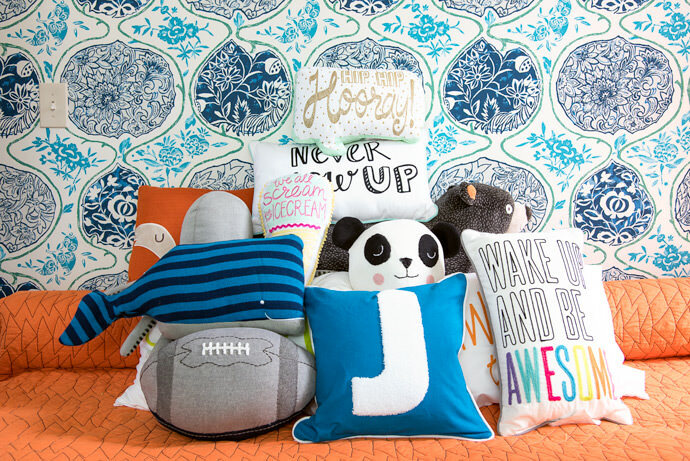 Finish off with these family favorites to make things extra cozy and happy: Hooray Throw Pillow, Bear Character Throw Pillow, Octopus Throw Pillow, Never Grow Up Throw Pillow, Whale Throw Pillow, Wake Up Throw Pillow, Panda Throw Pillow, Football Throw Pillow, Ice Cream Cone Throw Pillow. 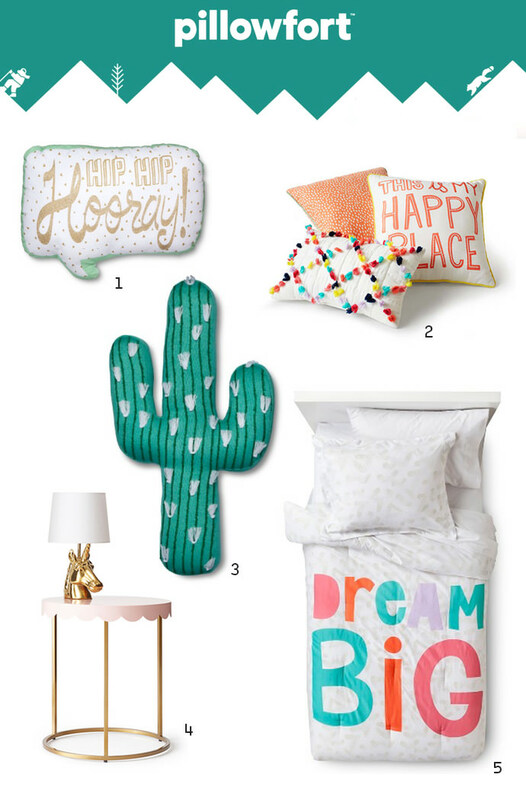 Everything in the Pillowfort collection is interchangeable—you could spend hours on the Target website dreaming up fantasy rooms. The possibilities are practically endless! Let your child pick and choose to create a special space for their imagination to run wild. 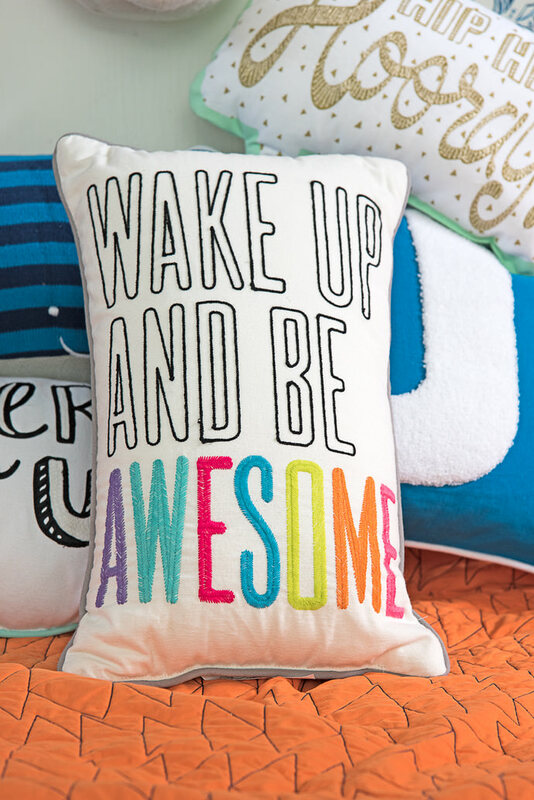 Head over to Target for a peek at the entire Pillowfort collection! This post is brought to you by TargetStyle. Shop the new Home collection in stores and online. So cute! I love the bears, and the scallop side table, and the octopus.